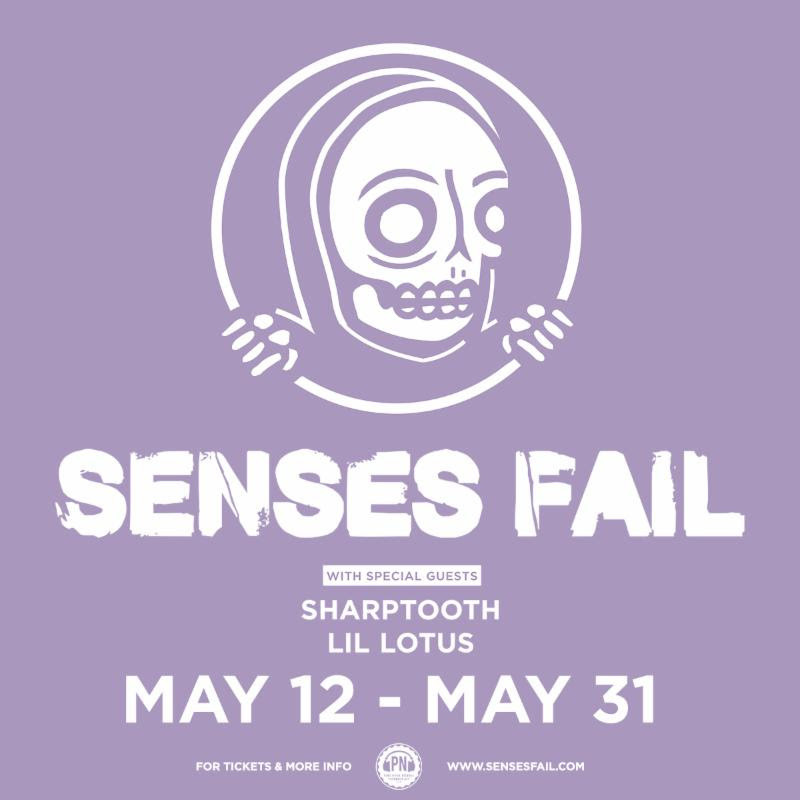 Senses Fail is thrilled to be returning to Canada later this spring with Sharptooth and Lil Lotus for a three week long headline run in support of their latest album, If There Is Light, It Will Find You. The tour kicks off on May 12th in Somerset, WI, and features stops in Winnipeg, Saskatoon, Calgary, and more. For a full list of upcoming tour dates, please see below or visit: sensesfail.com. Senses Fail recently celebrated the band's strongest opening week in over a decade, with If There Is Light, It Will Find You securing the #1 spot on the Independent, Alternative, and Hard Music charts, as well as the #2 Rock, #7 Digital, #12 Current Albums, #25 Physical, and #57 on the Top 200. Already heralded by outlets like Billboard, NYLON, Alternative Press, Loudwire, and Substream Magazine as the band's most honest and one of their best releases, If There Is Light, It Will Find You is available today on Spotify and Apple Music. Physical albums and merch bundles are available at sensesfail.com. Prior to the release of If There Is Light, It Will Find You, the band shared singles "New Jersey Makes, The World Takes," "Gold Jacket, Green Jacket...," and "Double Cross." With adds to top Spotify playlists like Crash Course, Pop Punk's Not Dead as well as Apple Music playlists like Breaking Hard Rock, these singles have seen great successes on streaming services. Senses Fail kicked off their full U.S. tour with Reggie and the Full Effect, Have Mercy, and Household last week. The month-long tour will wrap up on March 31st in Las Vegas, bringing Senses Fail's high-energy and passion-driven live show to fans across the country. For more information or to purchase tickets, please visit http://sensesfail.com/.